This post will be a breakdown of the ingredients in TRESemme' Naturals Nourishing Moisture Conditioner. Recently, the ingredients were changed to remove alcohol and isopropyl alcohol, which were replaced with benzyl alcohol; in addition, aloe vera and avocado oil were moved up the ingredients list. When purchasing this conditioner, check the ingredients list because the old formulation is still stocked in stores. Old formula: Water (Aqua), Stearyl Alcohol, Cetyl Alcohol, Caprylic, Capric Triglyceride, Stearamidopropyl Dimethylamine, Fragrance (Parfum), Lauroyl Lysine, Caprylyl Glycol, Brassica Campestris, Aleurites Fordi Oil Copolymer, Aspartic Acid, Distearyldimonium Chloride, Persea Gratissima Oil (Avocado), Citric Acid, Alcohol, Isopropyl Alcohol, Aloe Barbadensis Leaf Juice. New formula: Water, Caprylic/Capric Triglyrceride, Stearyl Alcohol, Cetyl Alcohol, Stearamidopropyl Diemthlyamine, Persea Gratissima (Avocado) Oil, Aloe Barbadensis Leaf Extract, Brassica Campestris/Aleurites Fordi Oil Copolymer, Fragrance, Caprylyl Glycol, Aspartic Acid, Lauroyl Lysine, Distearyldimonium Chloride, Benzyl Alcohol, Citric Acid. Water: the most simplistic and essential ingredient necessary for moisture. Caprylic/Capric Triglyrceride: a triester blend of glycerin and fatty acids (caprylic and capric) derived from coconut. It acts as an emollient and dispersing agent. Stearyl Alcohol: a fatty alcohol that acts as an emulsifier and emollient. Cetyl Alcohol: a fatty alcohol that acts as an emulsifier and emollient. Stearamidopropyl Diemthlyamine: a fatty amine salt that acts a conditioning and anti-static agent. It also helps to prevent build-up. Avocado Oil: contains high percentage of monounsaturated fats including oleic and palmitoleic fatty acids. It is also a good source of phytosterols and antioxidants such as vitamins E, alpha and beta-carotene, and lutein. It's components make it highly nourishing to the hair and scalp. Aloe Leaf Extract: contains minerals and vitamins that are stimulating moisturizing to the scalp and hair. The low pH helps close the cuticles. Brassica Campestris/Aleurites Fordi Oil Copolymer: a wax blend with strong water resistant properties. It is made of Rapeseed Oil and Tung Oil. Fragrance: a blanket term for fragrance ingredients and could actually be multiple non-specified ingredients to formulate the fragrance. Caprylyl Glycol: an emollient and humectant that can act as a preservative due to its antimicrobial properties. Aspartic Acid: an amino acid. Lauroyl Lysine: an amino acid derived from coconut oil and used for its preservative properties. Distearyldimonium Chloride: a conditioning and antistatic agent. Benzyl Alcohol: a pure alcohol that can be used as bacteriostatic agent. Citric Acid: a pH balancer and chelating agent. 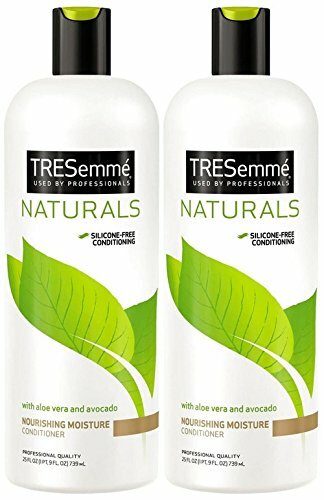 I've seen a few people complain about build-up when using TRESemme' Naturals to co-wash, and that's what prompted me to research the ingredients. I personally don't get build-up when using it because I alternate with cleansing conditioners and co-washing. This conditioner does contain ingredients that help prevent build-up; however, I think the culprit could be the Brassica Campestris/Aleurites Fordi Oil Copolymer. It's somewhat water-resistant, so if you're solely co-washing, frequent use could potentially lead to build-up. I've seen some conflicting information about benzyl alcohol. From what I have read, it is not a fatty alcohol. It's one of those drying alcohols, and I'm assuming based on its properties, it's used as a preservative here. I'll do a follow-up to this post with a product review. It is on my HG List so that should be a clue to how I feel about it. I use this conditioner to wash out my DC and love the way it foams when rinsing. I don't leave it on my hair for any length of time maybe a minute and was wondering what causes this foaming action? So far I've had no build up issues. Thanks for this information and I'm going to check out your follow up. Hi! Thanks for visiting the site and commenting. I just did another search on the ingredients. Apparently Stearamidopropyl Diemthlyamine has "foaming power" and prevents buildup. Check out IngredientsToDieFor. They have more details on the ingredient. It's listed on their site as CleanLocks. 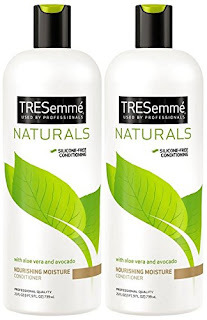 By the way, TRESemme recently introduced a newer formulation for this conditioner.